"Nuptials" Album Pages are premade digital scrapbook layout pages that you simply place in your photos and they are complete! Stunning results with minimal effort....what could be better?! 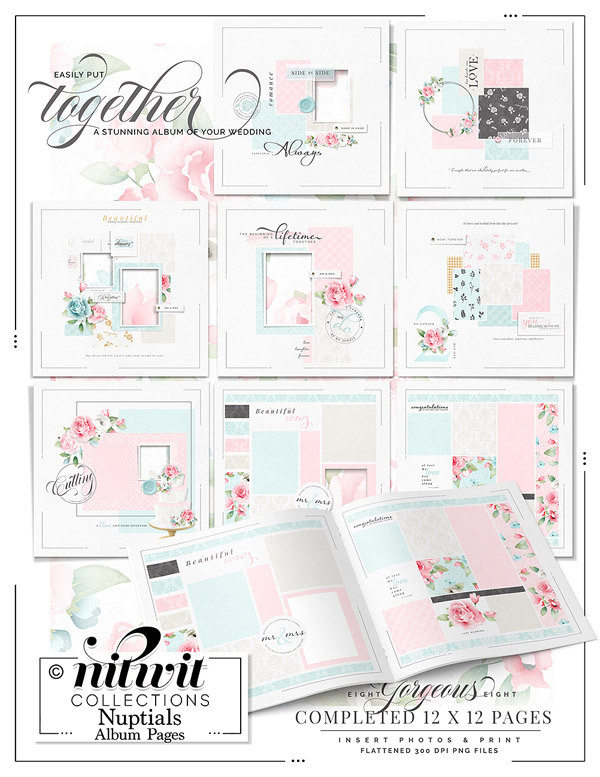 These digital premade scrapbook layouts are NOT included in the FQB "Nuptials" kit, so please don't miss out! 8 Digital premade wedding album pages that coordinate with my FQB "Nuptials" Collection. 4 Picture frames that already include a shadowing to them for placing into any of the album pages as additional photo areas.